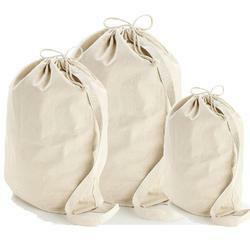 Engaged in providing various types and quality Drawstring/Laundry Bags. All of our eco friendly bags can be purchased plain or colored. We export in a wide range of eco friendly cotton/drawstring bags and various other bags like laundry bags, lunch bags, shoe bags etc. We are offering a wide and comprehensive range of Shoe bags. This range of Shoe bag is developed using supreme grade 100% cotton to ensure its eco-friendly nature. Along with this, the offered range is appreciated for its sleek look, vibrant color combinations and longer service life. Specifications of these shoe bags are given below. Material : 5oz cotton canvas. We are the leading exporter of Canvas Bags and Colored Trim Tote Bags. Our firm is a prominent manufacturer and exporter of a wide range of Lunch Bags. Lunch bags offered by us are best suited for executives and students and are known for keeping the food fresh for a longer period of time. This range of lunch bag offered by us is available in a number of colors, patterns, sizes and other specifications as per the diverse requirements of clients. Appx Size : 10X10.5" with top drawstring closure. Material : 5oz Medium weight cotton canvas material. Colour : Natural / Black / Green or any custom colour possible. We are the exporter of Lunch Bags. Appx Size : 23"w x 28"h.
Material : 5oz Light Weight Canvas With cotton Drawstring Lock. Colour : Natural / Black / Green or any other colour. We are the manufacturer and exporter of Laundry Bags. Appx Size : 12" x 15" with top drawstring closure. We are the leading manufacturer and exporter of Shoe Bags. 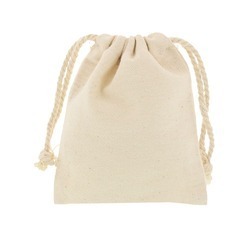 In order to cater to the variegated requirements of esteemed clients, we are offering a superior range of Mini Drawstring Bags. These mini drawstring bags offered by us are highly appreciated among the clients, owing to their usage in different areas such as trade shows, promotional events, corporate events and allied. This range is admired for its easy cleaning, durability and eco-friendliness. Appx Size : 6" x 9" with top drawstring closure. 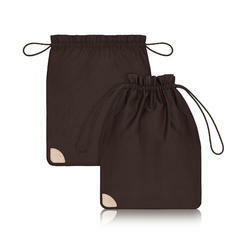 Material : oz light weight cotton canvas material..
We are the leading manufacturer and exporter of Mini Drawstring Bags. 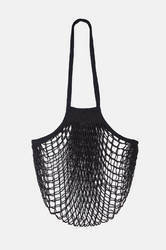 We are one of the leading names, engaged in delivering a superior range of Net Bags. These products offered by us are acknowledged in the market for their compact size, lightweight and ability to stretch. Moreover, the offered range is appreciated for its trendy designs, longer service life, attractiveness and eco-friendly features. The offered products are ideal for shopping and can be used at the beach for carrying things. Appx Size : 10"w x 15"h.
Colour : Black / White / Green / Red or any other colour possible. We are the leading manufacturer and exporter of Net Bags.